Dinosaur Cats Are A New Internet Trend, But Should You Shave A Cat? 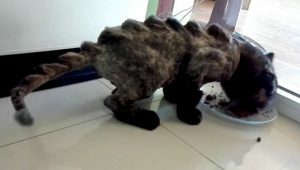 A pet groomer in Thailand posted a YouTube video of a cat shaved to look like a dinosaur, the latest in an internet trend of dino-cats. But is it okay to shave a cat like that?